Expiring contracts, Kings help themselves by finally getting a legit SF and help the Mavericks free up a ton of cap space. Win-win for both teams. Little pissed about letting Jackson go. A growing bench 3. Not great but I guess he was the piece to get Barnes. Happy they’re pushing for the playoffs while other teams are selling. l like Jackson too, but this move makes the Kings a legit playoff contender now and if Jackson is the only real piece you have to give up to get Barnes then it’s a win. Which Jackson are you pissed about? The Jackson with the flat, no-arc brick shots? Or the Jackson who occasionally shows up to play D? Too bad they didn’t trade him to the Wizards. We’d all be drowning in puns! Sheesh – Looks like he just found out. His face was that of an unpleasant fellow there on the bench. This is the Mavs regaining some of the cap space lost by the Porzingis trade. The Kings made good use of their $11 million in cap space as well by getting a very good player. Win-win for both teams. Because the lakers haven’t traded anyone away…? Interesting move from the Mavs side. Max contract room for next year? Yep, the Mavs will essentially have enough cap space to offer a max contract. Rumored to be interested in Nikola Vucevic. Cuban also is pretty fond of Cousins. This is going to be one dynamic off season. Game of musical chairs is taking place. KD going to Dallas instead of NYC would be REALLY funny. Also, definitely watch out for Harry Giles. He’s finally getting truly healthy, and he’s an absolute stud. If he can stay healthy, and keep getting more and more playing time, Giles will likely pit himself square in the running for most improved player. The Kings knew from the beginning that they were going to have to play it slow with Giles, and they’ve done an excellent job easing him in, while getting him back fully healthy. It won’t be very long before Giles truly rewards the Kings for their patience. He’s averaging only 13mpg on the year, but he’s up to 17mpg in his last four games. The more he’s playing, the better he’s performing, and the more comfortable Giles is becoming. It’s truly only a matter of time before he breaks out in a big way. The Kings are positioning Giles to really hit the 2nd half running, and if he can get up to 24-26mpg, fans should definitely expect some big things from Big Harry!! Good for both teams. Barnes isn’t worth that contract, but he is combo 3 (in demand), and Kings need one for this year, and possibly next. Contract term fits (either way) even if the annual price ain’t great. Mavs recoup most of the cap space they lost in the KP deal. The latter will launch them into contention by the time the Knicks get a pick from them. Saw this one coming for a while, just made too much sense for the Mavs once we heard news the Kings had interest in Barnes. They will bring someone in, wouldn’t be shocked if it was Boogie. The sad part of this one is Barnes was on the floor playing when he found out. I like this for SACTO. Barnes will never be an all star but I think he’ll have fun in that faster system. And he’s an asset, perhaps an overpaid one, but it’s a good small victory for the Kings. They’ve clearly surpassed bottom feeding incompetent teams like WAS and PHX and CHI. Couldn’t have said that 12 months ago. Dallas waived Mejri. I thought they would have waived/bought out Z-Bo instead. They had to waive someone before the deal could be completed. In other words, you can’t buyout someone that isn’t on your roster yet. That is why those 7 for 2 Lakers/Pelicans trades are unlikely to occur. The Pelicans would have to waive over a third of their roster in order to even complete a trade of that number. The Suns had a couple extra roster spots available when they made that 2-for-1 deal. The Mavs had no openings. Solid deal for both, but I’d liked Otto on Sac more than Barnes and it’s a better deal than what Wash got from the Bulls. More money, but more de and has shown he can produce without volume shots. Hopefully this deal keeps LeBron out of the playoffs this year and maybe even the following season, since Sac and Dallas will both be better next year due to this deal. Pretty all this was put together because they didn’t offer enough for Otto Porter JR.
Barnes was a good plan 1B, really like this for the Kings. Barnes to me is a winner. Porter has not won a thing. Burks in the other trade helps too. 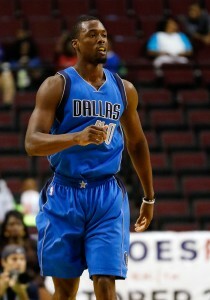 That $21m traded player exception for the Mavs will be nice. There’s a lot of options available for them with that. Since they’re trying to compete the obvious route is to use it to grab a useful rotation player. However, if that doesn’t work I could see them using that TPE to take on a bad contract and recoup a pick or two.